Memorial Day marks the unofficial start of summer. Backyard pools are open for business and it’s ‘swim time’ for those who enjoy the water. To complement a swimming pool, you’ll need to consider ways to ‘tie it all together’ — your home, yard and pool — creating an attractive outdoor space and a place for entertaining, lounging and relief from the sun. For swimmers and onlookers alike, a deck, pergola, porch — or all three — could be a perfect match for a summertime getaway right in your own backyard. 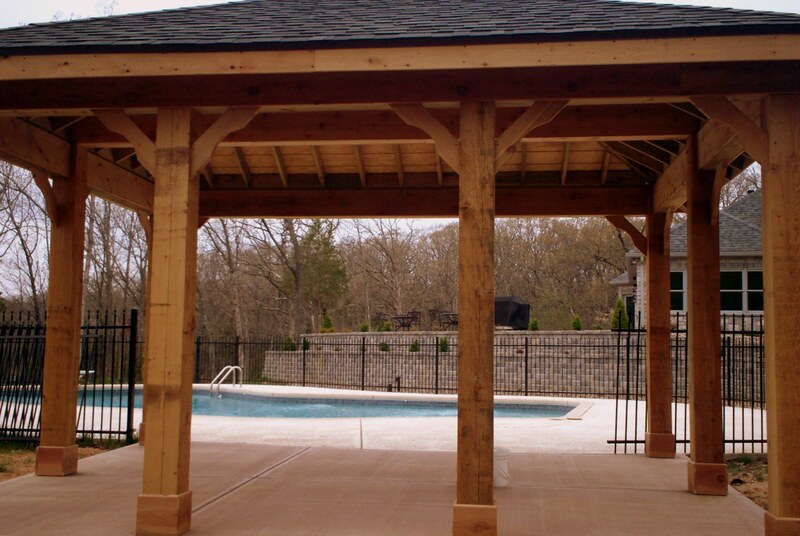 Of course your backyard pool could stand by its lonesome; however a shade structure will enhance the outdoor space with a designated seating area, providing a respite from too much sunshine. And today’s pergolas can be designed and built with wood, vinyl, aluminum or a combination thereof. 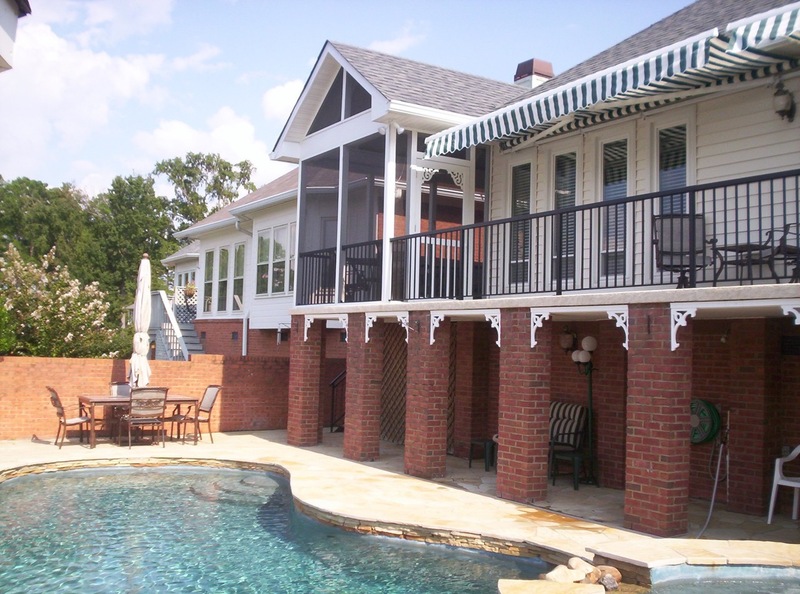 Pergolas can be purchased as a prefabricated structure or they can be totally customized to suit a homeowner’s specific needs and wants. And best of all, if you’d like to upgrade your pergola with a heavier shade feature up-top, incorporate vines or hanging plants; fabric or a canopy; wider slats; solar panels or a polycarbonate roof. Every swimming pool will need some type of hard surface to surround it such as pavers or decking or a combination of the two. But no matter the layout of your backyard or your type of pool (in-ground or above-ground), a fantastic deck design will pull-it-all-together with plenty of style. And if your home has more than one story, a deck — with or without a screened porch — will provide the absolute best way to transition from your interior spaces to your outdoor spaces. These structures also create functional outdoor living zones — defined areas for grilling, dining, lounging, entertaining, conversing. What is the best slip-resistant decking? 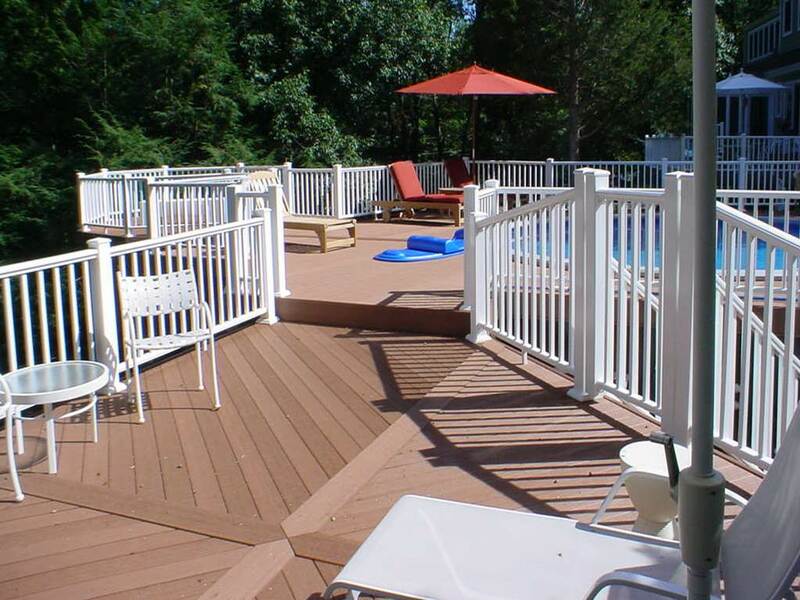 What type of decking will last the longest for a permanent pool? 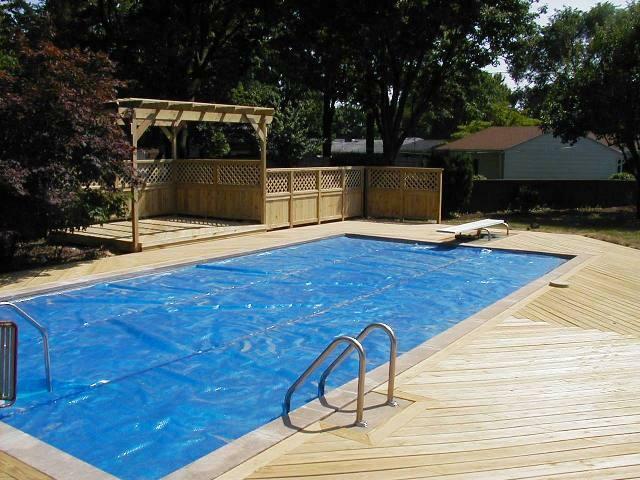 What type of decking is the most economical for a temporary pool (above-ground)? How can I incorporate privacy and shade around my pool deck? 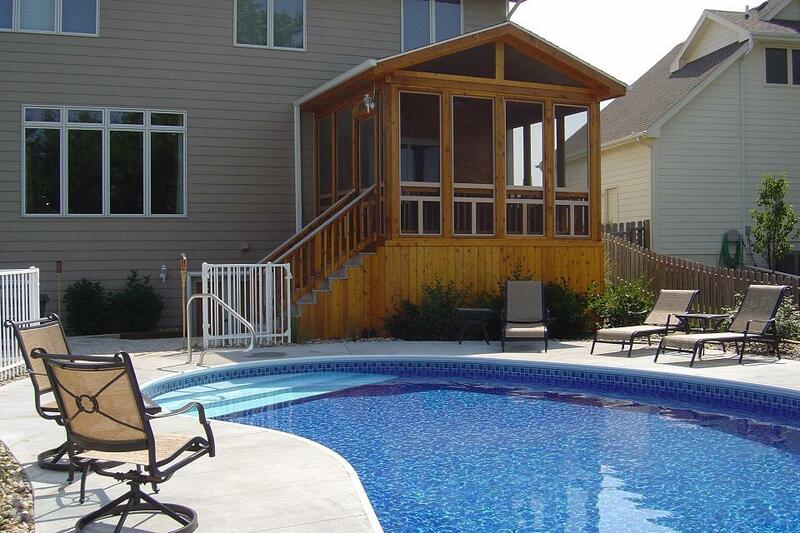 A porch — open or screened-in — can be an ideal complement to your pool. You can escape the heat of summertime sun without missing any of the fun, poolside. With a roof overhead, the addition of lighting and a ceiling fan is a breeze. 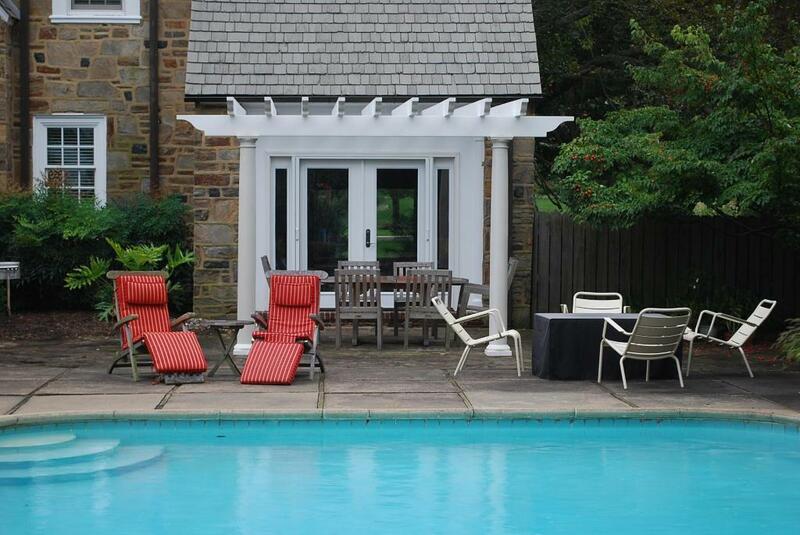 Oh, and a poolside porch is the perfect place for swimmers to hang-out during a rain shower. 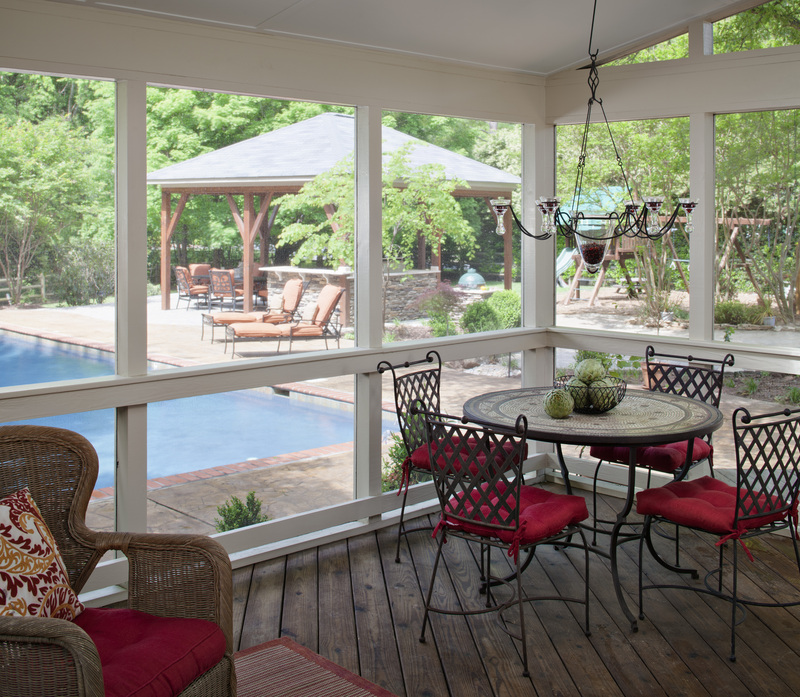 If you opt for a screened porch addition, you’ll escape the bugs too. By using a professional design-and-build contractor, you’ll have complete freedom in choosing a style… from rustic to formal and everything-in-between. The sky’s the limit! In most cases, a swimming pool becomes a major backyard focal point for relaxing, entertaining and a whole lotta fun! 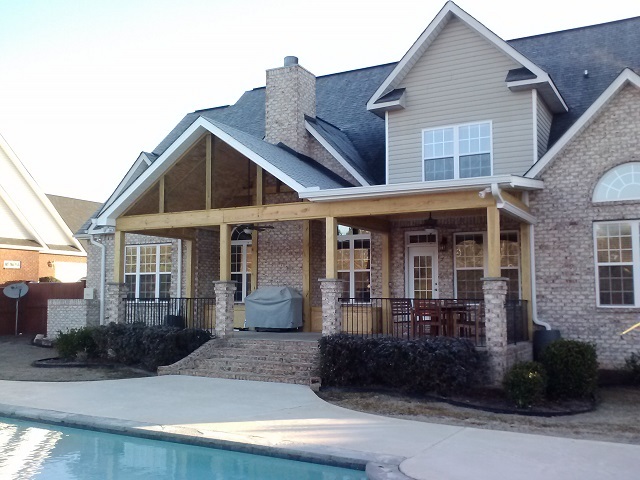 But a swimming pool without a deck, pergola or porch looks incomplete. Avoid a fragmented, closed-off outdoor space: consider the entirety of your home and property so that your interior spaces and your landscaping work together as-one for the highest visual impact, function and usability. 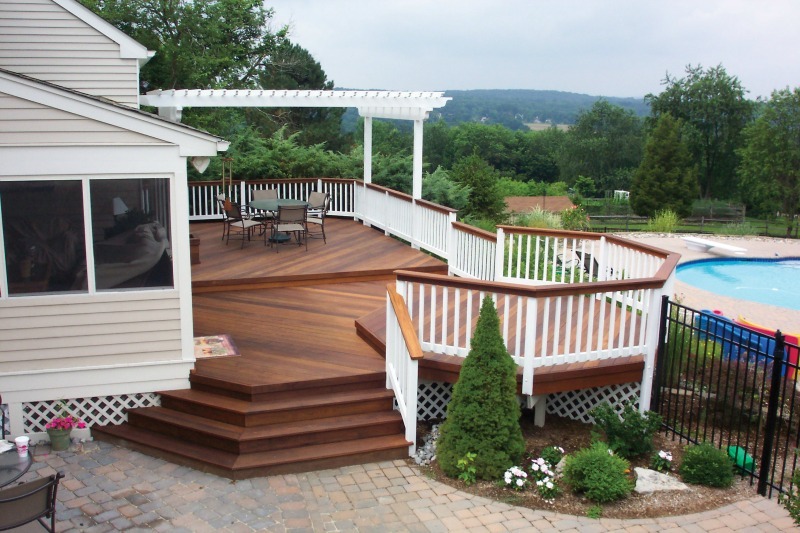 If you want to explore more outdoor spaces just visit our website, west-county.archadeck.com. There you’ll find photo galleries, an online inquiry form, a video and free download for Archadeck’s design guide. Social media links to Pinterest, Google+ and Houzz pages are clickable right from the homepage. 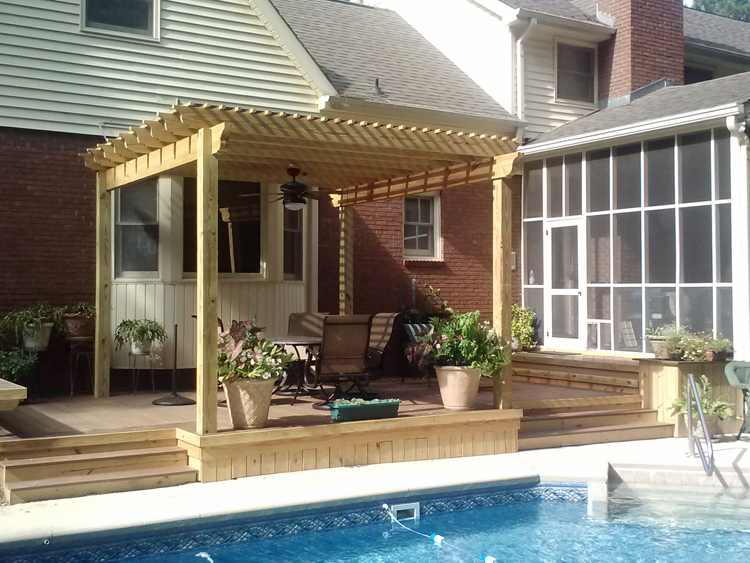 If you reside in St. Louis Missouri and are ready to speak with a builder for outdoor spaces, please consider Archadeck. We’re locally owned and operated and our offices are in St. Louis West County. We serve the Greater St. Louis region in Missouri including all areas of St. Louis County, St. Charles, St. Charles County and parts of Illinois too. We’d love to answer your questions and meet with you anytime. Just call us at 636.227.0800.